HÀ NỘI – The Ministry of Finance has issued new securities-related service regulations for trading organisations and commercial banks doing business in Việt Nam’s securities market. The new circular, No 128/2018/TT-BTC, replaced Circular No 242 dated November 11, 2016 setting price frameworks. Overall, the maximum service prices remain unchanged. However, the new regulation adds charges in the derivatives market. For the underlying stock market, the price of underwriting service for State-owned enterprises carrying out equitisation is between 0.5 per cent and 2 per cent of the total value of shares issued through a guaranteed offering. The maximum price of brokerage service to buy/sell shares or fund certificates (including listed securities and securities registered for trading) is 0.5 per cent of trading value. The brokerage service price for divestment of State capital shall not exceed 0.03 per cent of trading value and not go over VNĐ3 billion (US$128.2 million) per transaction. The service price of managing public securities investment funds or public securities investment companies shall not exceed 2 per cent of the net asset value (NAV) of the fund or the portfolio per year. The ceiling price of service of issuance of certificates of open-end funds or exchange-traded funds (ETFs) is 5 per cent of trading value, while the price of service of redemption or switch of certificates of open-end funds or EFFs shall not exceed 3 per cent of trading value. Regarding share auctions, price of service will be from VNĐ20 million per auction of shares or each type of securities to 0.3 per cent of total value of securities actually sold out. For the derivatives market, price of brokerage services for futures contracts is up to VNĐ15,000 per index and up to VNĐ25,000 per government bond. 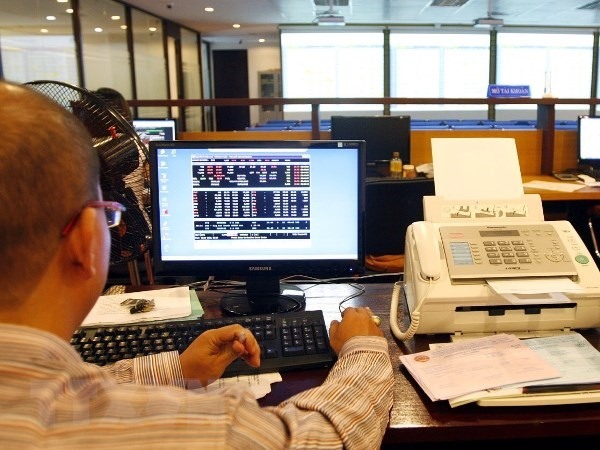 These prices do not include the service prices for trading, management of derivative positions, security deposits which securities companies must pay to the stock exchanges and the Việt Nam Securities Depository Centre. For the services not prescribed in the circular, securities trading companies and commercial banks may themselves decide the prices of their services but must comply with the Law on pricing and relevant laws. Prices of securities-related services are not subject to value-added tax. Providers of services must clearly announce prices of their services.